At Canopy Airport Parking®, the environment is one of our top concerns. We have gone to great lengths to lead our industry in sustainable building practices, utilization of alternative fuels, and efficiency. We understand the importance of reducing our carbon footprint to protect the environment for future generations and creating an eco-friendly economy. Our environmentally conscious customers will join the movement by parking with us to reduce their own carbon footprint dramatically, while supporting a business that is revolutionizing the environmental standards in the parking industry. How does parking at Canopy™ help you achieve a lower carbon footprint? 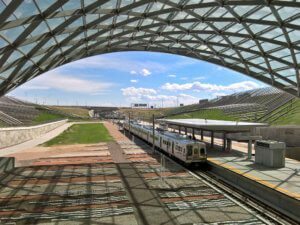 When you arrive at Denver International Airport, choosing to leave your car at Canopy™ means that one more car is taken off the road and not emitting any pollution. For a new car of average fuel efficiency, a week of driving results in the emission of .07 Metric Tons of Co2e (the standard unit of measuring carbon footprint). By leaving your car at a facility like Canopy™, that generates virtually no additional greenhouse gasses, you are helping to remove this pollution from the atmosphere. Additionally, by planning a trip that utilizes public transit instead of a rental car, you can lower your carbon footprint even further. Using public transit will result in an additional .02 Metric Tons of C02e being released which is a major improvement from the results of driving. 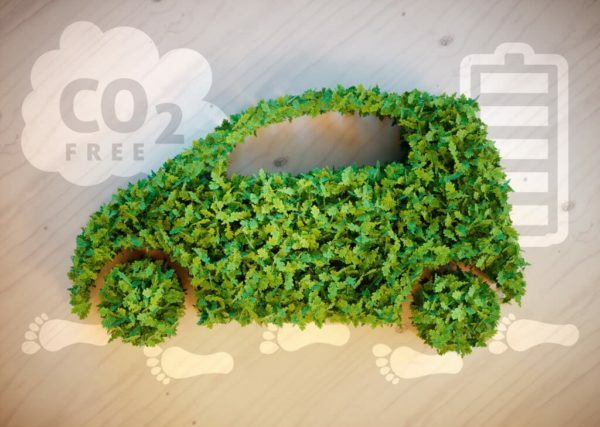 Beyond the decision to park in an environmentally friendly lot, there are other important green steps you can take to reduce your carbon footprint while traveling. What are some other ways you can lower your carbon footprint at home? By ensuring your home is properly prepared for vacation, you can save money and reduce your impact on the environment. Water heating can easily account for 15% of a home’s electricity consumption by utilizing the vacation mode. It is an updated feature for new water heaters that can drastically decrease your energy consumption while away. Additionally, lowering the thermostat to minimize the heat flowing throughout the house can reduce your environmental impact. Additionally, ensuring all windows are closed and shades are up during the summer will prevent your home from heating up and requiring the A/C. Finally, there are many home appliances that draw a steady flow of power, even when they are not in use. Things like coffee makers and grinders, printers and laptops, even TVs and toothbrushes should be unplugged entirely before leaving. These simple changes can reduce your carbon footprint by an average of .14 Metric Tons of C02e over a one week vacation. Obviously, these numbers are rough estimates based off of countrywide averages. If you want to learn more about your personal carbon footprint and ways to reduce it, visit this great resource. Carbon Footprint awareness is one more green initiative that we are focusing on here at Canopy Airport Parking®. We understand that improving our energy consumption habits is a task of huge importance and we want to help our customer understand what they can to do help. By being aware of the resources we consume, taking simple consistent steps to reduce our consumption, and partnering with businesses that are run sustainably and efficiently, we can be part of the solution to this great challenge.